In my opinion Mark Bagley is one of the top 10 Spider-Man artists of all time. 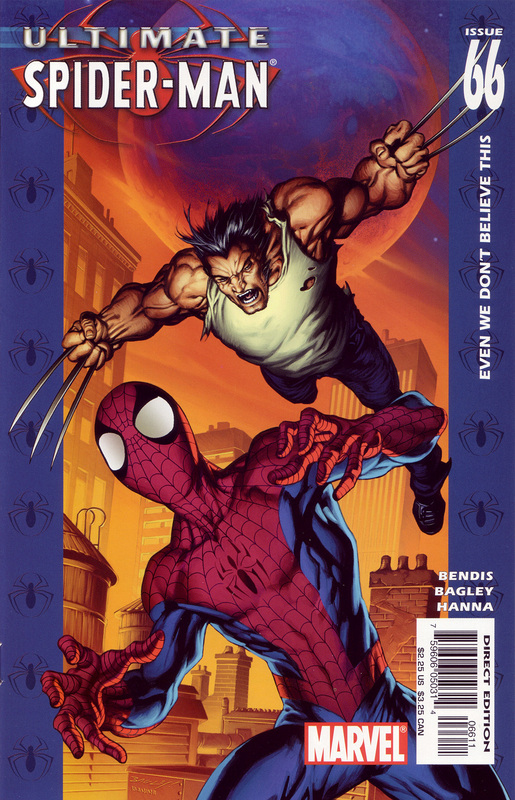 Ultimate Spider-Man #66 features his take on Wolverine. I love the way he’s leaping up behind Spider-Man in front of a full moon. Richard Isanove’s colors really pop here too. A good cover. It attracts your attention. Especially when you notice the title on the side.